Educators suggest that eighty percent of what children learn comes through their eyes. Vision challenges dramatically impact a child’s ability to achieve. Parents are often left completely unaware of a child’s vision problems, because children don’t know how to convey their frustrations. So, just how prevalent are vision problems in children, and how much impact can those issues have on your child’s education. According to the American Optometric Association, one in five preschool children have vision problems. The U.S. Centers for Disease Control found 12.5 million school-age kids are unable to see the blackboard, and only 10 percent of children ages nine-15 who need glasses actually have them. A child’s vision challenges can have long-lasting effects. Limited vision in early childhood can lead to developmental delays and other brain development issues. 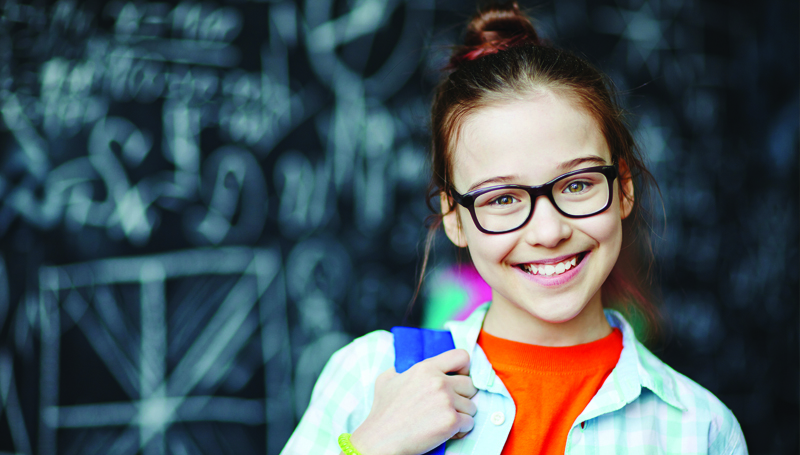 Left untreated, vision issues can lead to cognitive issues, social challenges, classroom frustrations and even physical and coordination concerns. Vision irregularities or eye muscle imbalances often affect depth perception. Untreated, amblyopia and strabismus eye muscle imbalances can lead to permanent vision loss, which can result in coordination issues. Any and all of these conditions can limit a child’s ability to absorb or convey what they learn in school. And, in some cases, children with ADHD may benefit from corrected vision. Even if your child has yet to display outward symptoms of limited vision, it’s a good idea to have his or her eyes checked prior to the next school year. Too many vision challenges go undiagnosed. A brief eye exam could reveal opportunities to change your child’s life for the better. To schedule your child’s eye exam, contact North Florida Cataract Specialists and Vision Care today at 352-373-4300.